QotD: What are some traits you admire in people? 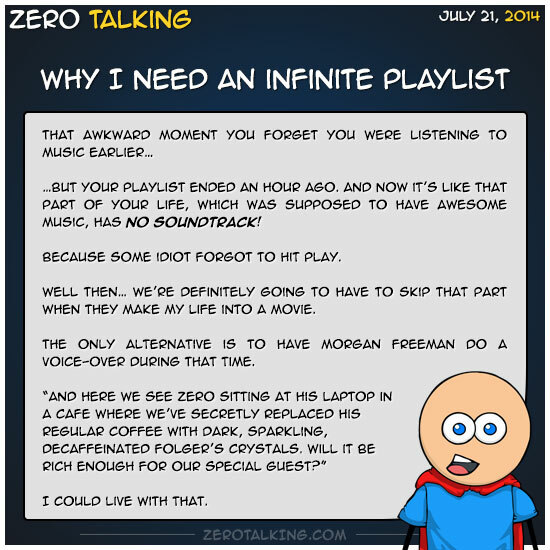 …but your playlist ended an hour ago. And now it’s like that part of your life, which was supposed to have awesome music, has no soundtrack! Because some idiot forgot to hit play. Well then… we’re definitely going to have to skip that part when they make my life into a movie. The only alternative is to have Morgan Freeman do a voice-over during that time.